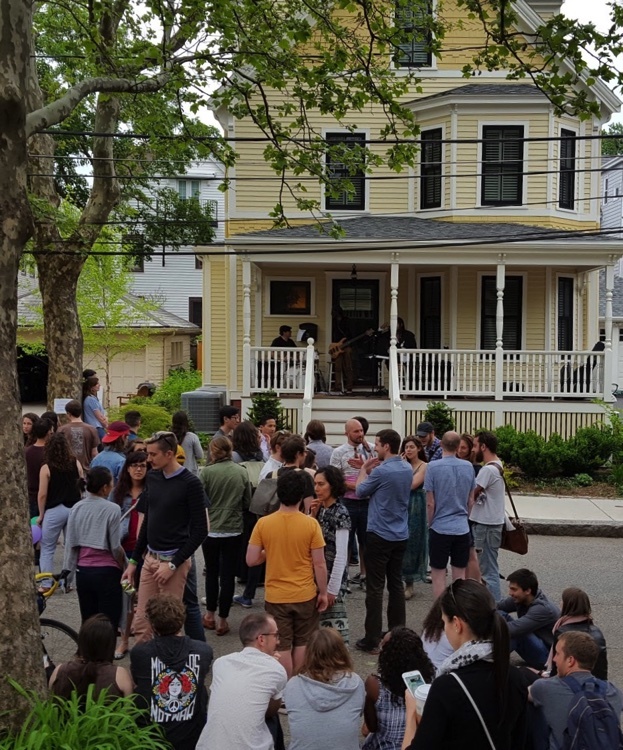 As the name would imply, this festival of poches in Somerville, MA is a fantastic day of family-friendly fun, as musicians of every ilk take to the porches (and frontyards) of this wonderful city, and share their sounds. I played a solo set in 2015, and had so much fun, that I asked Bryan and Derrick to make the trek with me this year. Everyone had a jammin good time, and we even threw in a bunch of off-the-cuff reggae songs! See you next year Saint James Ave.